Diane Lala choreographed for Tulane University, Black Hills Playhouse, Loyola University, True Brew Theatre, NOLA, Indian Hills High School, Cincinnati Men's Chorus and various regional and dinner theaters. Choreography credits at CCM include Babes in Arms, Sweet Charity, The Wild Party, Oklahoma!, West Side Story and On the Town. Also at CCM, she was director/choreographer for Song and Dance, Under Construction and Songs for a New World. She taught summer workshop for Ballet Iowa and various jazz master classes in Kharkov, Ukraine. In 2003 she directed and choreographed CCM's Musical Theater students as well as Tom Wopat, John Schneider, Denyce Graves and Nick Clooney in the Cincinnati Pops Orchestra's "Patriotic Broadway" that was televised on PBS. On stage, Lala has appeared as Velma Kelly in Chicago, Woman 2 in Songs for a New World, the Baker's Wife in Into the Woods, Morales in A Chorus Line, Anita in West Side Story and Audrey in Little Shop of Horrors. 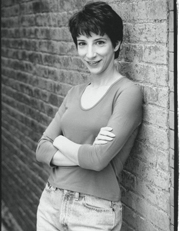 Nominated numerous times, Lala has received Big Easy Entertainment Awards in New Orleans and a Storer Boone Award for Best Choreography for Tulane Summer Lyric's production of The Will Rogers' Follies. She also received a Marquee Award for best actress in a musical for Chicago. In addition, Lala is (since 2001) a certified Pilates instructor, studying directly with Romana Kryzanowska, a Joseph Pilates protegee. She is also an associate member of the Society of Stage Directors and Choreographers.